Attorney of Law Suganthika Fernando should be admired for her greatness, with no fear of the outcome from various quarters exposed the very poor quality of many of the judges, magistrate’ and court officials. Like all other government institutions the judicial system too is rotten to the very core of the justice ministry. From 1977 the judicial system was publicly stained with corruption from the very top to the peon. Appointments were not based on seniority but on their political views and are given over the heads of reputed, intelligent honest law abiding individuals. The only qualification needed is a good write up of a VVIP will do the needful. On many occasions I have witnessed that some Magistrates hardly look at the victim or the complainer. Most of the judgements are based on police reports and how the cases are presented by the IP. If the officer known to the judge presents the case the victim or the complainer would be favoured. I happen to be present at a case at the High court where the Magistrates spoke very rudely to two attorney at Law ladies. They were loaded with books related to past various past cases and judgements and had fixed the dates to present their cases in the High Court, but he was so rude he refused to hear even one word from them. He practically chased them out. This of course gave me the impression that he hardly read books of value regarding past judgements or he hares women who are capable and not corrupt. We had a country that could boast of QCs, eminent judges and honorable magistrates who never forfeited the prestige and the traditional judicial system. But today we are far behind since like any other government institution, our so called people’s representatives, the leaders of the political parties, the police departments, health ministry are infected with corrupt individuals. However Suganthika Fernando’s comments is the truth. She presented her comments not to disgrace the legal system but to rectify the damage created by various governments due to greed for power and money. If this system goes as the way the corrupt politicians rule the country there won’t be a Sri Lanka for the future generation. It’s unfortunate that the general public, mainly the hard working low income group of people are taken for a good drive by the uncouth politicians, It’s a shame that women organizations who delivered speeches about the cost of living and promising a better future at various meeting held on the International Women’s day are silent about the comments of this fearless Lawyer. These women who get their highly powered faces in the media, holding high positions in various government and private holdings, fashion are another bunch of heartless, and have no consideration to this country. A good example is the lady mayor who wants to spend about seven million for her toilet god only knows if she is dropping gold nuggets. If we are to wipe out corruption, thuggery, murder, drug menace, rapes etc. there should be a collective consciousness. Nothing could be gained without the general public’s participation. It is being proved beyond doubt that this government will not keep its promises made in January 2015.They all fighting among themselves for power only. We are being burden with tax, but only the ordinary man feels it, not ministers who sponge on us. An ordinary man must work 20 years to get a measly pension while a Member of Parliament gets a pay, petrol allowance, a house fully furnished, a cook, driver and a gardener beside contracts and commissions. And a pension for working or for messing up for 5 years. However with all these difficulties it would be wonderful if all lady lawyers, and women of all organizations could support Suganthika Fernando and work together to at least wipe out corruption in this judicial system. It would relieve the people from tipping or warming the palm of the crooks big and small. Prime Minister, What are you waiting for, you have lost your valour and credence,that is your own seeking, though your honour is still hanging on a thread you have an opportunity to be grateful to at least two generations of UNP voters and many others who voted for the UNP specially at the last two Elections. Leave alone your show of gratitude but do your duty, establish Law and order, bring justice to all and sundry, people are aware the two leaders are the biggest stumbling blocks. Be humble accept your failings. both leaders must understand the country does not belong to politicians and they should be protected from being brought before the law for the heinous crimes they have committed . It is your sacred duty. It is far better to face the truth than to be a coward. People will appreciate that noble gesture. May the triple Gem bless you. 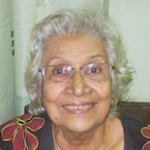 When I was wearing shorts and that was long ago, we had Bandaranaike appoint a proctor, I believe, to the Supreme Court. Thereafter, at every cricket match, boys would shout Ado Pathirana, each time they thought that the umpire had given a wrong decision. There was just one Pathirana then. Now, it seems that most judges are Pathiranas. The situation cannot be remedied. Immediately someone identifies the problem, it is dismissed as showing class bias. If there is no bias, why are these pompous asses wearing the wigs of the white judges and not wearing Kandyan headgear? The stupid fellows don’t even have brains to sweat out. In England, judges and lawyers do not dress as they do in SL except on rare ceremonial occasions. Now, we do not have unbiased judges but have the same pomp that existed from the undeserving corrupt and nepotistic judges. Would you take initiative to set up a fund to support a non-poilitical movement to clean up the judicial service perhaps headed by Suganthika? Nagahananda K is making the spearhead blunt by making it an excercise to become the president. It is perfectly ok for him to do that. But I’d rather see my contribution going only towards a civil society good governance movement, not a political one. If I need to support Naga K, I’d do it separately. The latest is that more Judges have recused themselves from hearing Gota’s fundamental rights petition. How can judges have reasons to do so. They are supposed to be independent individuals. It was the woman judge who got the appointment to the SC on her way home who did so last October. They must all resign and go home. RASCALS. Judging in SL is a joke. Most are political appointees after political perks and alcoholism is rampant; cases get dragged on for years. The politicians, although very poorly educated in most cases are very influential and powerful.They tend to hire “clever and expensive” lawyers who find legal loopholes to procrastinate cases indefinitely. The AG’s department is a sleep most of the time; things move at snails pace. It’s all sad; a true Banana Republic. Native Vedda: I replied you; but unfortunately that comment has not gone through. Could be my mistake in posting it. There is no disagreement on all what you said. Just imagine the heights to which the Judiciary has fallen today. Already five Judges have declined to sit on the “Rights” petition filed by Mr.Gotabaya Rajapakse . Recently I referred to what he said at in interview with a Sinhala Daily paper. He said: ” I will deal with all these investigators once we come to power”. That has sent shock waves through the nerves of the Law Enforcement and perhaps the Judiciary as shown by the decline of the Judges in the above case. Now not only the Judiciary, the entire Government machinery is in chaos. We thought and complained of Politicians; but imagine to what levels the Civil Service has been brought down to. Some at the “Top Levels” who are supposed to be “Educated” and “Professionals” accepting bribes in public and go down to the lowest level of counting the money received at parking lots in five star hotels, clearly proves the stinking nature of that once dignified Civil Service. By the way, I talked to my “Bakery Maama”. He had an earful to tell me in some juicy dialect which I cannot write here. So tell me your of your meeting on Saturday. The once revered judiciary system of this Country is in its lowest ebbs. Delays in court, inept magistrates and state counsels and Lawyers for the public who have just sprung up for money and flash of prominence on TV and Media have also contributed to the situation. People no longer have a belief to receive justice when they go to courts. The Police on the other hand our at times clues in filing reports and presenting evidence and easily influenced even by a Councillor of a municipality. The most disturbing trend is the recent Recuse of some senior court judges in a prominent case which can expose an individual who thinks he’s above par or an untouchable. If this is the criteria, the people will have no faith in the highest court of this land. I think this Lady lawyer deserves the backing of her learned friends and also the Bar Association. Unfairnesses are everywhere. I think the solution is more important. Fish 🐟 rots from its head. We need our rulers to be unblemished and moral charactered. Further more each one of them must be adequately qualified and professional competent with a proven track record. I will vote for such a team exposed upfront of an election of parliamentarians . How about you? Then let’s form a new party of honest people with a lot of checks and balances in the system. This present nonsense must stop as the country is getting bankrupt with severe increasing debt. Malaysia and Zimbabwe is doing it and so many other third world countries are beginning to wake up to this fact. FR petition hearing was completed in June,2016. Over eighteen judges ,three at a time were on the bench. Verdict not yet given even after two years . Where do we go from here ?